Scroll down for the new listings of homes for sale in 78260. Use the Advanced Search feature to search all listings in this zip code. 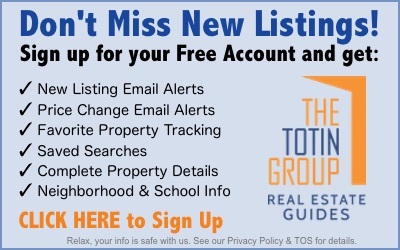 Contact the Exclusive Buyer Agents at The Totin Group at eXp Realty at (210) 872-8888 to see real estate for sale in the desirable 78260 zip code in north San Antonio, Texas. Luxurious homes for sale in 78260 are located in the cities of Timberwood Park and San Antonio Texas, just minutes from downtown San Antonio. Popular neighborhoods and exclusive gated communities include Canyon Springs, Clementson Ranch, Heights at Stone Oak, Kinder Ranch, Lookout Canyon, Panther Creek, Silverado Hills, Summerglen, Terra Bella, and Willis Ranch. Two-thirds of the area is considered rural, and one-third is suburban. This area's 28,000 residents appreciate its convenience to the Texas Hill Country, highly regarded medical centers, major highways, upscale shopping and entertainment. Did you know that your Exclusive Buyer Agent at The Totin Group can help you find the home of your dreams at no out-of-pocket cost to you? Typically, the seller pays our fee. So you get expert representation and peace of mind, knowing you have an experienced real estate professional to guide you through the home-buying process. Call (210) 872-8888 for details. The 10 newest listings of homes for sale in 78260 are shown below. Use the Advanced Search feature to search for all listings in this desirable zip code in San Antonio, Texas.